A multi-armed "kraken" of family-linked crime gangs used young girls to commit robberies across Germany. Police say they have cut off one arm from the pan-European network. Munich police have arrested the alleged leaders of a crime operation responsible for up to a fifth of burglaries in Germany, they announced on Monday. An investigation into the pan-European crime gang first started in January 2016 when undercover police officers watched three young women commit a break-in. According to police, the women were clear professionals who acted in a fast and skillful manner with the right tools. Investigators discovered that the young women, who claimed they were teenagers, were members of a massive criminal family group originating in Croatia. Police have alleged the clan has some 500 members interwoven by kinship or marriage, and that the family group used young girls to commit burglaries across Europe. 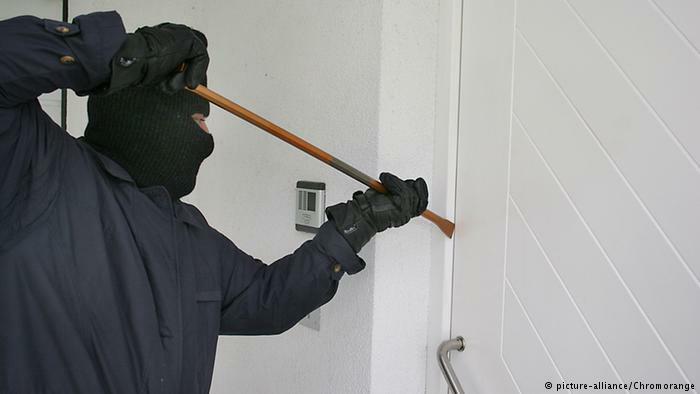 The skilled young burglars, prized for their discretion and lower chance of being jailed, were traded between the various families, Reinhold Bergmann, the commissioner for organized burglary crime, said in a statement. "They have no choice but to participate," Bergmann told the German newspaper Süddeutsche Zeitung. Police went on to arrest 20 other young women in Munich, but these were just more "working bees." Investigations led to further arrests across Germany, including two alleged "middle managers" in Gelsenkirchen, near Essen in western Germany. Police arrested two family leaders in Croatia, who were accused of leading one branch of the operation. Authorities have described the family in Zagreb as just one arm of "multi-legged kraken" of crime families. There were likely 20 to 30 more "kraken arms" in countries such as Belgium, Spain, France and Italy, Bergmann told German news weekly Focus. Two more family members are still on the run. Investigators in Croatia reportedly found marble-tiled villas, which were likely financed by the burglaries. Police said they had recovered some watches and some rings that would be returned to their owners.